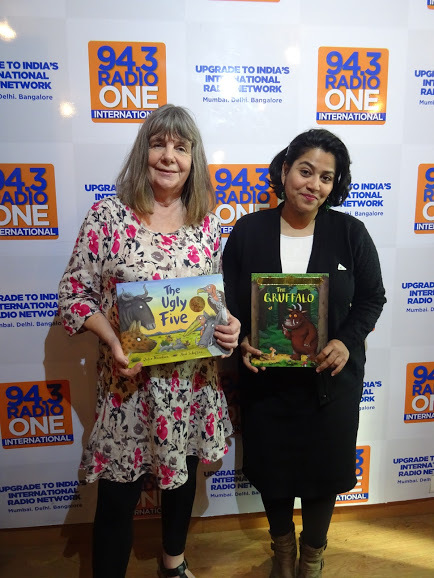 Universally adored children’s writer Julia Donaldson toured India in January 2018. The reception she received was heartwarming. Wherever she went there were crowds of excited children and parents. 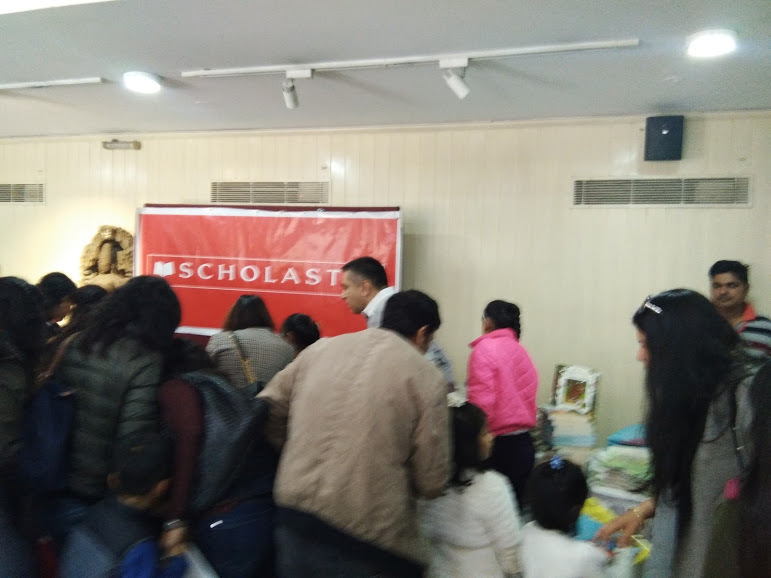 Even at the specially organised event by Scholastic India of school librarians and teachers there were many who while learning from Julia Donaldson’s performance were completely star struck — you could see it in their eyes and later when innumerable group photographs were being clicked. It was an incredible experience to witness. 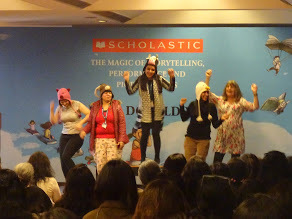 Here is an article I wrote about Julia Donaldson’s trip in January. It was written days after her departure from India but never was published till today. It was an honour to meet Julia Donaldson for her humility shone through as did her vast amounts of experience in inculcating the love of reading in children. She was keen on telling a good story to the children and infecting them with the joy of reading. While being a fantastic storyteller she also shared her experience of working on the technically-sound phonetic books like the Oxford Reading Tree ( ORT) books that are introduced as part of school curriculums worldwide. According to her it was a big learning curve for it taught her how to focus on telling a story within the limited number of consonants prescribed for a particular level without losing her trademark touch of creating rhyming and play books. Note: Follow the links embedded in each title and it leads to the book page on Amazon India. 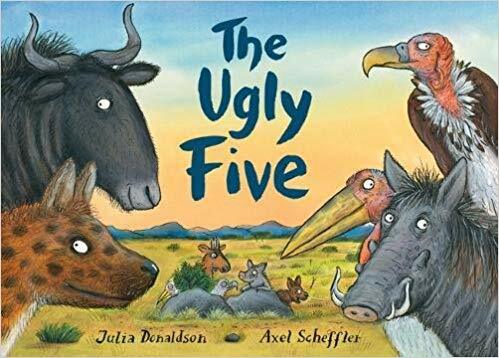 Julia Donaldson MBE and former UK Children’s Laureate is to the world of picture books what Stephen King is to horror stories and both have an enviable fan base. Like Ed Sheeran, Julia too began her career busking. She enjoys performing and always has a repertoire in mind before going on stage but willingly adapts if the occasion demands it. 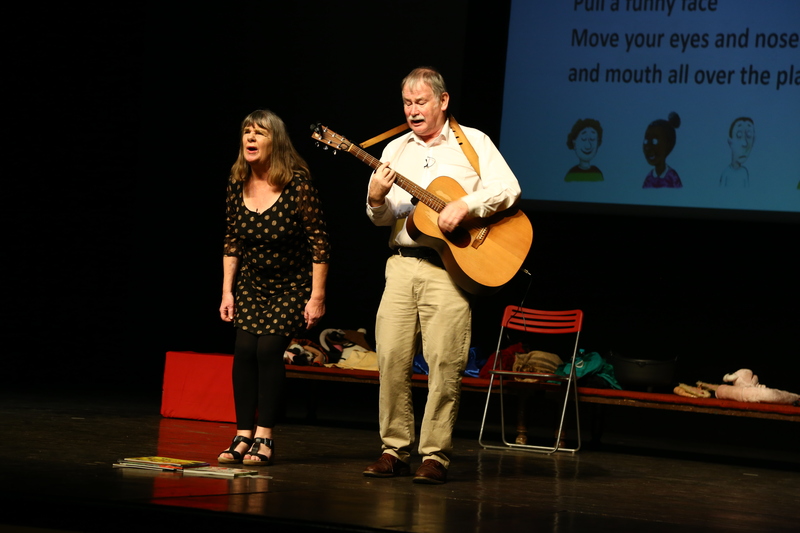 As Julia says “audiences and moods vary depending on whether you are performing in a bar, a street or in schools.” She usually performs with her husband Malcolm who accompanies her on the guitar. Their thorough professionalism at managing crowds was evident after a performance ended when Malcolm picked up his guitar and sang while going up and down the queues of eager yet restless folks awaiting their turn to have their books autographed by Julia. 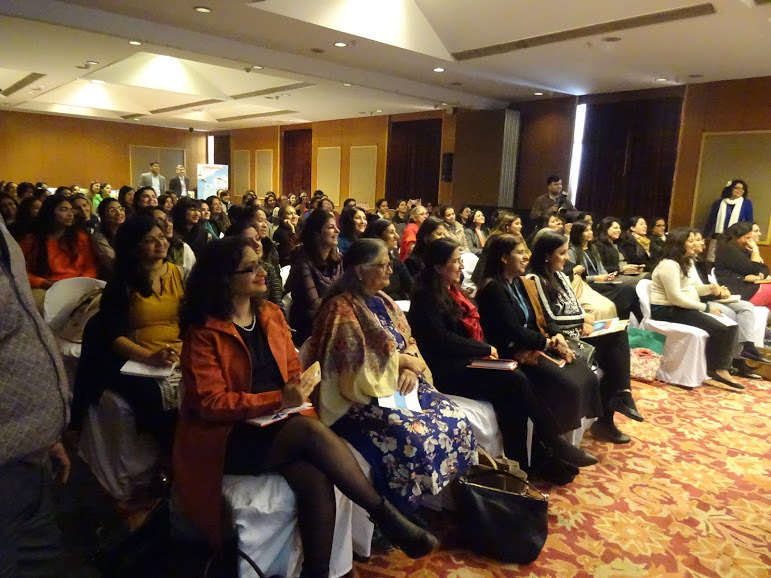 When Julia Donaldson’s tour of India was announced excited adults squeaked “Her picture books are fabulous! The illustrations! AndGruffalo…Will he be there as well?” Chirrups of delight from the children who became eager volunteers at every performance! She would call upon children from the audience to come up on stage to play minor roles in the stories she enacted such as Superworm, The Ugly Five,and What the Ladybird Heard. Ideally Julia prefers it if her audiences have read some of her “play books” in advance as it enriches the experience. This fear was put to rest in India. Whichever city she visited the enthusiastic crowds of children and adults alike sang with her. 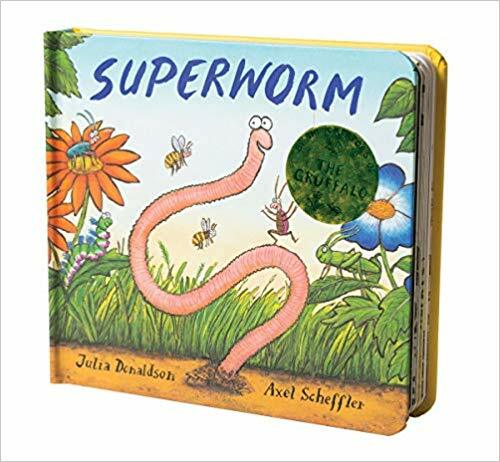 It was like being at a pop concert where the hysteria of the audiences upon seeing Julia Donaldson in flesh was worth witnessing. The crowds in India were far larger than any she has performed before anywhere else in the world. Yet the warm, cuddly, grandmotherly figure with a radiant smile that lit up her already twinkling eyes remained unperturbed. She performed happily even though some of her little extras decided to plonk themselves on stage to read the pile of picture books placed in a pile rather than participate in the sing-along! Despite battling terrible bronchitis Julia Donaldson managed to mesmerise folks with her storytelling. 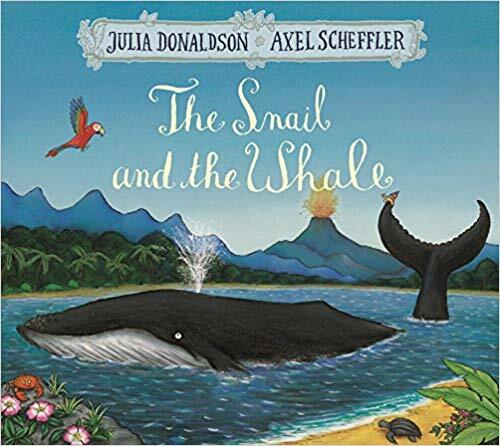 Certainly she had sophisticated props; mostly recognizable characters sketched by her long time illustrator Axel Scheffler, yet she relied mostly upon vast dollops of imagination to make her stories come alive. 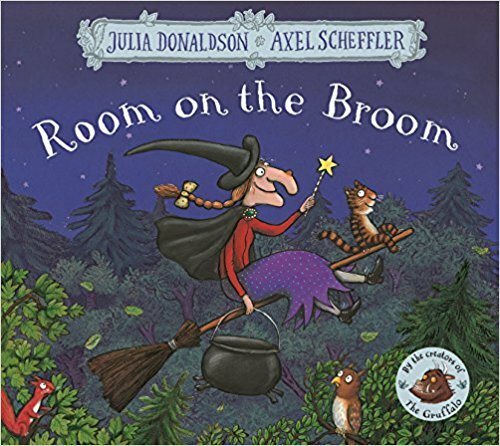 Julia Donaldson’s magnificently magical storytelling is technically perfect in using rhythm and wordplay. 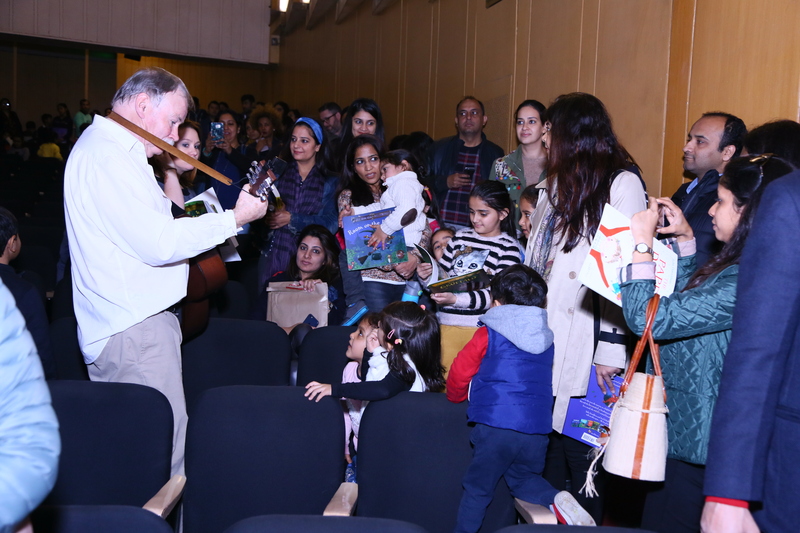 She demonstrated to teachers that while sharing light-hearted stories with new learners it is easy to convert a simple classroom into a vibrant one with music and colour. A happy child learns fast. The importance of reading is critical to her and has always been — she taught her younger sister to read! 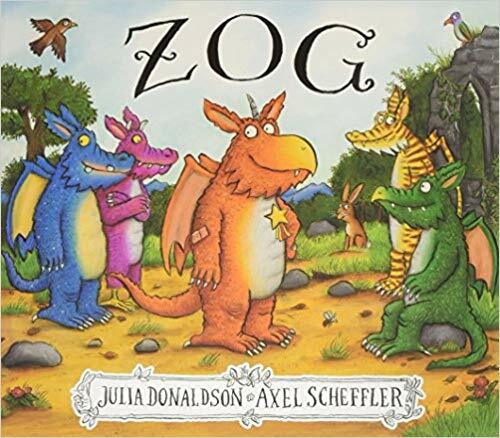 Of the nearly 200 books Julia Donaldson has written the bulk are phonic readers; requiring her to blend vowels and consonants precisely according to early learning rules of phonetics. This is in keeping with her fascination for sound patterns and letter stories. Julia Donaldson grew up in a home filled with music and poetry with her grandmother instilling a lifelong passion for Edward Lear’s nonsense language —in The Giants and the Joneses Julia invented Groilish! (Later to her delight she was commissioned to write a sequel to Lear’s “Ówl and the Pussycat”.) Age 5 she was presented by her father, a still treasured edition, of The Book of Thousand Poems inculcating in her a dream to a poet/lyricist. Her mother would play a version of “antakshri”, encouraging her daughter to find a word beginning with the last syllable of a word she had uttered. All of which helped Julia while writing her books in blank verse. In the 1970s she worked in a publishing firm while contributing songs and plays to radio. 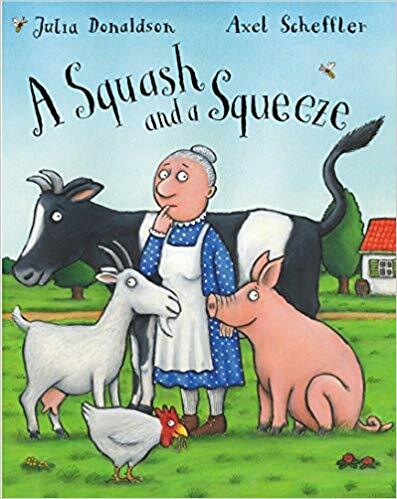 One of these was A Squash and A Squeeze which an editor recollected two decades later persuading Julia to turn it into a picture book. 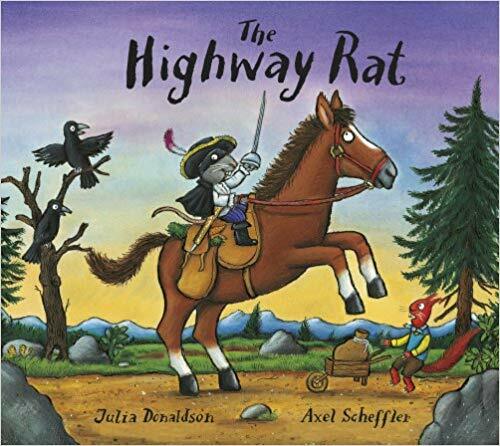 Julia Donaldson’s fascination lies in experimenting with well-known folktales. 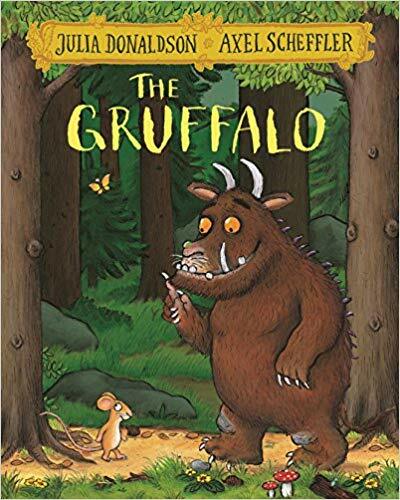 In the Gruffalo it was the retelling of an ancient Eastern tale where a little girl goes into the forest and tames a tiger that follows her meekly home. But Julia was stuck for an appropriate rhyming word for “tiger” so used “Grrr… “ Rest they say is history! She recalls fondly that her sons could never cross a bridge without enacting the Three Billy Goats, now she hears of picnic expeditions that revolve around a Gruffalo hunt! 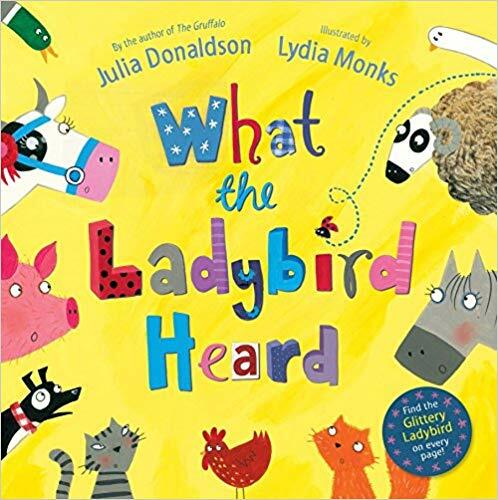 Ultimately Julia Donaldson firmly believes that children should read a variety of genres including comics – give them anything that appeals to them! And yes, Gruffalo came. Many selfies were taken!